Convicted prisoner, thirty-two year old Moses Conorquie, will spend at least six years behind bars for the robbery and wounding of Janice Leslie. Conorquie snatched Leslie’s chain from her neck back in November of 2011, but her friends fought back; trapping him in his own web. Minutes later, Conorquie managed to escape but was captured by police on West Collet Canal. 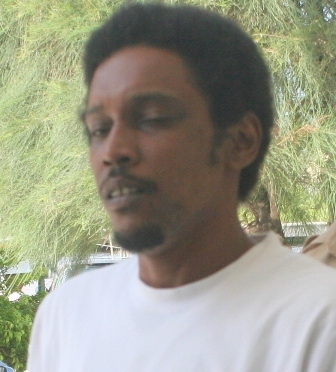 But during trial this evening before Senior Magistrate Sharon Frazer, Conorquie denied the allegations saying it wasn’t him and that the police had the wrong man. But Senior Magistrate Frazer was not convinced and found him guilty. Since Conorquie has previous convictions for similar crimes, he was sentenced to six years for the robbery and three years for the wounding of Leslie. Both sentences are to run concurrently. During the trial, Conorquie was unrepresented. A fair sentence for this criminal with his long history. I hope he thinks about changing his ways. The sentence was fair, but can the murderers get hung or at least lifetime in prison? If a gold chain is worth 6 years of this scoundrel’s life, shouldn’t a an innocent person’s life be worth a lot more???? haha ha ha ha ha someone should now beat his @$$ everyday in jail. Is the victim family to a politician? To me is very strange that they gave him so many years. Good for him. That means tnat bert will get life. Yes!!!!!! !